Our aim is to make the Insights Dashboard a place where you can take instant actions to increase your website conversions and revenue based on the data you see there. That’s why you can now easily create a message to target customers based on the lead time of their search, directly from the Dashboard. So how exactly does that work in practice? In the graph below you can see that, while there are over 100K website visitors searching 30-59 days in advance of their check-in date, the conversion rate for those customers is relatively low. 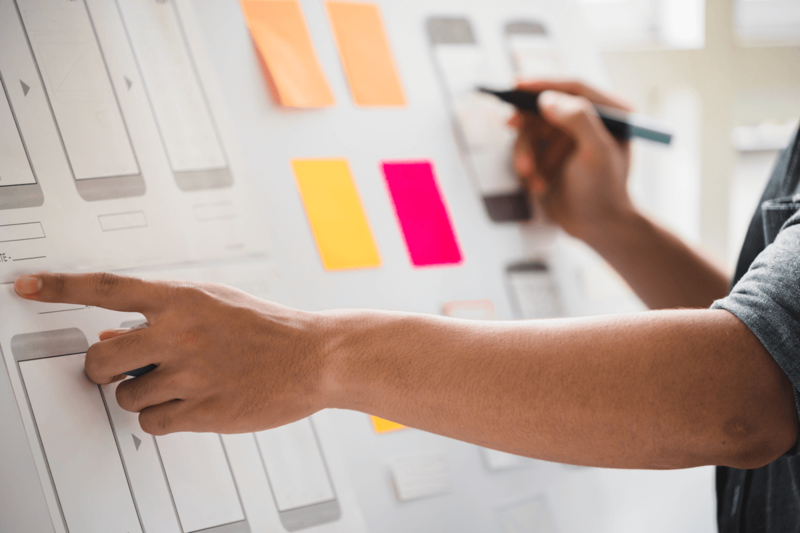 This suggests that a targeted message offering a discount or incentive to those customers could be an effective way to increase your direct bookings. The targeting feature works in exactly the same way as the targeting by visitor country functionality we released a couple of months ago. When you click the target icon, a Message Porter message will be automatically created with the relevant audience targeting specifications already in place. 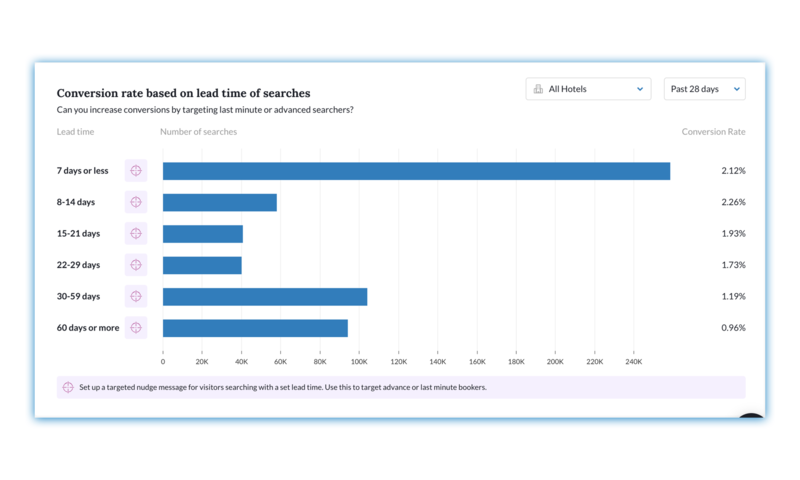 We’d love to know how you get on with this feature, and what experiments you’ve tried in terms of targeting by lead time of searches. Get in touch and let us know! Occasionally guests asking questions via Front Desk can become rude or abusive towards you or your staff. That’s not something you should ever have to put up with, so we’ve now made it easy for you to block abusive guests. All you need to do is type /block in the message field and this will ensure that that guest’s user id (cookies) and/or their IP address will be blacklisted on Front Desk unless you type /unblock to allow them to contact you again. You can now easily edit your Automated Assistant’s avatar and name to bring it in line with your hotel’s branding. 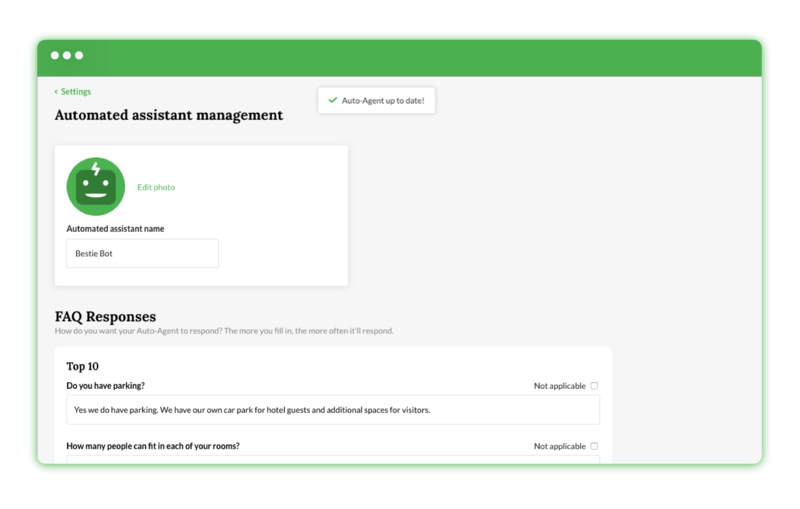 Just head to the Settings page within the Front Desk section of the platform, and click the button to Manage your custom automated assistant. At the top of the Automated Assistant Management page you can upload a relevant photo and change the assistant’s name. Simple!